Is it really only Wednesday? This week has dragged on longer than the line at the DMV. Because one can only handle so many themed and well-planned-for blog posts, I thought I’d go off the cuff today and just…talk. Now, if they’d give me a Coke or pumpkin spice latte to drink instead of that Glucola mess, I’d down it faster than a frat guy with a Jäger-bomb. 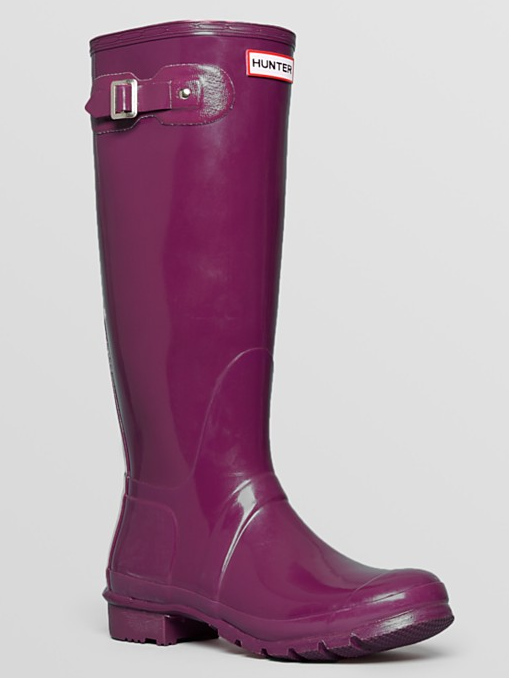 For those who saw and/or assisted in my Instagram poll pertaining to the Hunter boots on Sunday…I bought the plum. I know you’ve been sitting on the edges of your seats awaiting my answer, so I’m glad I could ease your minds with this news. And a very sweet commenter on Instagram yesterday let me know that Bloomingdale's is running a 20% OFF sale right now. Use the code FRIENDS at checkout and get 'em for only $118! This is the best price I've found on them so far, if you're in the market for a pair. Does everything come in five million pieces when it comes to kids’ toys? We’ve ordered Caroline a few things for her birthday next month and HOLY INSTRUCTION MANUALS. Everything, and I mean everything, requires assembly. Hours of it. And I can’t even drink wine right now. 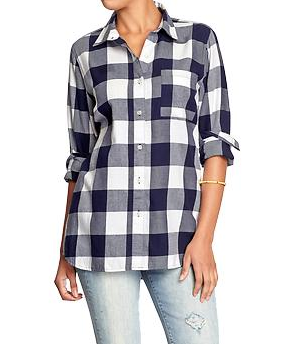 I saw on a fashion magazine’s website this morning where they were asking readers to find the perfect flannel button-down for fall. I believe that I’ve already found it – last week, in fact. This one. Love it and it’s cheap. Ugh.. had my glucose test yesterday, so I feel ya! My last pregnancy, the glucola was orange flavored, so it tasted like a flat Sunkist and wasn't too bad. This time? Cherry. It was like chugging Vicks 44. Nasty! SO nasty! I'm praying for the orange flavor this time! As horrible as the glucose test is, it is cake compared to the 3 hour test where they draw blood every hour! I had to do the 3 hour test last year with Landry and I had bruises on both arms for a week. ;) Good luck!!! And I love the plum color of the boots! Oh my gosh, I cannot even imagine enduring the 3 hour test. You are my hero! Love your blog AND your ramblings :) Thanks for giving me a smile on this hump day!!! My week is dragging too! Love the post but isn't C' birthday this month?! With my second baby, my doctor had me drink a mountain dew and a candy bar. I felt more sick after doing that than the glucose drink the first time. I also failed that test, which I've heard a lot of people do, so I then got to endure the 3 hour test and drink the glucose liquid anyway. I already told my doctor with this one, I am just going to drink the glucose and be done with it. Good luck with your test! Also, yes, toys can never come assembled or come without a million pieces/accessories, etc. I have been waiting to see which ones you chose! Hope you get yourself a treat after having to drink that nastiness for your test! Those rain boots are amazing! I'm still rocking my boots from college that are stained in mud and who knows what. I definitely have been meaning to get a new pair. Will definitely have to check those out!